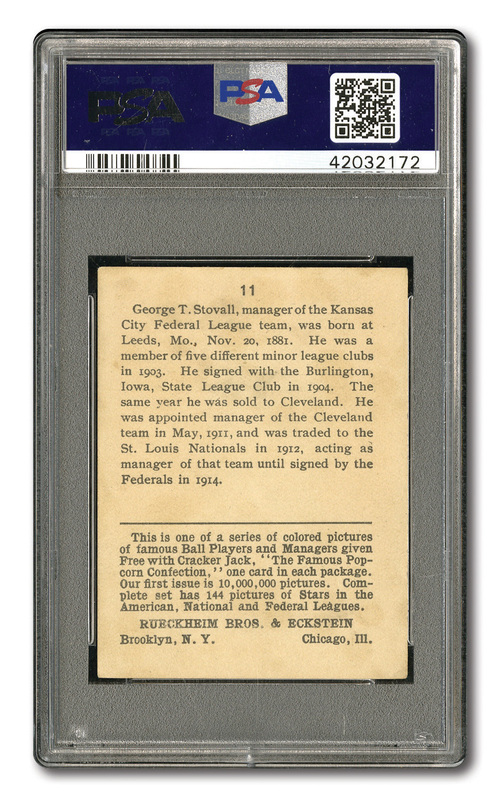 Dead centered VG-EX PSA 4 of Kansas City Federal League manager George Stovall from the very condition conscious 1914 Cracker Jack issue. Crease free card with ex looking corners. Dark, rich color with crystal clear picture image. 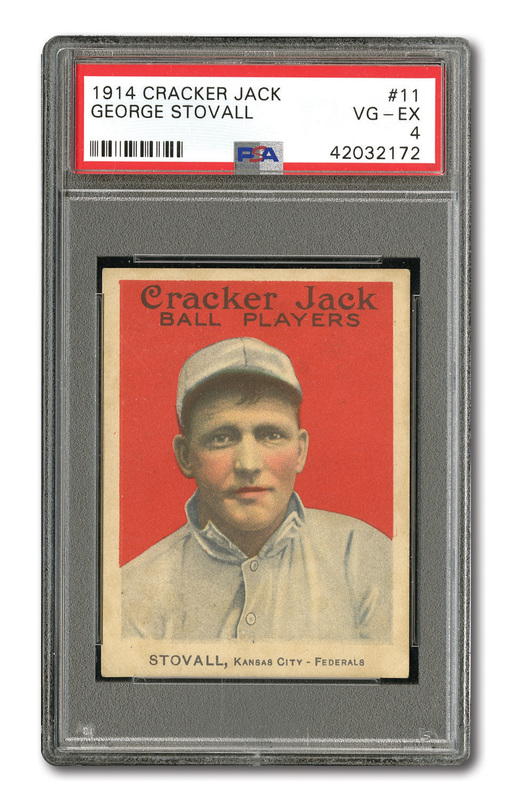 Very clean front with light product stains on the back. Approximately 50/50 centering all the way around. Very strong looking card for the given technical grade.